A new documentary had been released on one of Cuba?s biggest exoduses? The Mariel boatlift. One of the films subjects (a man who fled Cuba on this exodus), finally returns to Cuba to face the country he fled. The 1980 boatlift has received lots of stigma due to Oliver Stone?s depiction in Scarface, the story of a character who arrived on Miami shores from the Mariel boatlift. The exodus was one of the United States? largest crime waves ever due to Castro?s cleaning of the island, including all his prisons, mental institutions, and what Castro considered ?undesirables? (i.e. dissidents, homosexuals, etc). The film is a personal portrait of one character?s journey with additional commentaries. I have not seen this doc myself so I am unaware of its overall tone, but I do think it?s worth checking out simply because of the narrative of the older Cuban going back to the island to face his demons. Told through the previously unheard stories of ten Cuban-American families, ?Voices From Mariel? brings new insight into the lives of over 100,000 Cuban-born immigrants who came to the United States thirty years ago as the survivors of the ?Mariel Boatlift.? On April 1 of 1980, five individuals seeking political asylum crashed a bus through the gates of the Peruvian embassy in Havana, Cuba. Over the next several days up to 10,000 people stormed that embassy?s grounds. Fearing that continued civil unrest might cause further violence or even a coup d? ?tat, Fidel Castro proclaimed that any Cuban who wished to immigrate to the United States could board a boat at the nearby port of Mariel. In what some considered a bold move and perhaps even a stroke of genius, Castro emptied his jails and allowed prisoners and street indigents to infiltrate the massive flight of people from Cuba. While it has been reported that less than 10 percent of the Mariel refugees were actually undesirables, Castro?s plan was to tarnish the image of those fleeing the country. From April to September of 1980, nearly 125,000 Cuban-born immigrants, packed in approximately 1,700 boats, arrived on U.S. soil. Many of the vessels attempting to make the trip were barely sea worthy and overcrowding made them unsafe. As a result, 27 refugees died, including 14 on an overloaded boat that capsized on May 17, 1980. Upon their arrival, most of the new immigrants were placed in refugee camps throughout south Florida and later dispersed to other immigration processing centers across the country.? ?Some American political figures referred to the new immigrants as an invading army of thugs and the U.S. media portrayed them as murderers and thieves. However, for a 13 year-old boy, and the vast majority of those fleeing the port of Mariel, this was the beginning of a journey to freedom. For most, the exile began with abandonment of personal possessions and a separation from family that could last for a lifetime. Yet, for those leaving their native soil, the cost of their mass exodus was outweighed by something previously unimaginable in a dictatorship: a chance to pursue their dreams. ?Voices From Mariel? explores the legacy of the brave and committed people who risked their lives for a new chance in the United States. Thirty years later, where has that short but dangerous 90-mile sail across the Straits of Florida taken ?Los Marielitos?? Based on a manuscript by Dr. Garcia, the documentary will detail personal accounts of lives affected by the Mariel exodus and will highlight Dr. Garcia?s long anticipated trip back to his birthplace. What was the mood of Cuban citizens and the atmosphere in which they lived prior to the events of Mariel? What actions did they take and how would they describe their escape to freedom? How were they able to overcome the stigma of being a Marielito? As their voyage brought them toward new lives in a democracy, what were the challenges and opportunities afforded them? 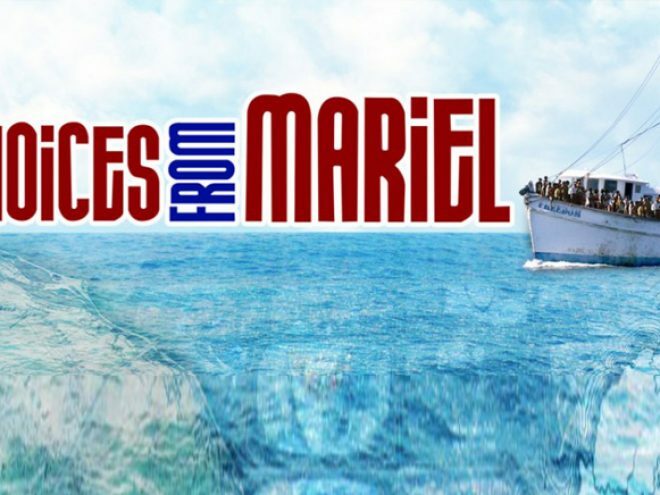 As we hear the stories of ten Cuban-American families who journeyed to the United States on an expedition for freedom, we will explore and listen to the unheard ?Voices From Mariel?.